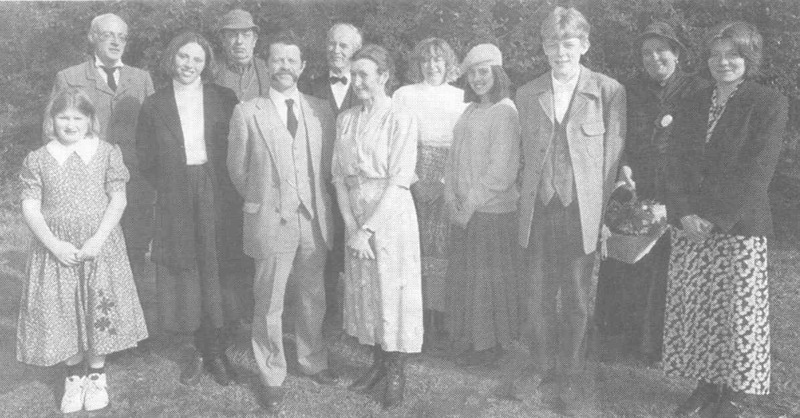 Flora Thompson's book 'Lark Rise to Candleford' and her connection with Liphook are now well known, but it was not always so. The book was not published until 10 years after Flora had left the Liphook area and, as she used pseudonyms for the places she wrote about, the connection was little known. It was not until 1970 that Selborne historian and writer Anne Mallinson, uncovered the East Hampshire connection and Flora's 'Peverel', for that was what she called the area; was revealed as the countryside around Liphook. Jo Smith's play to mark the 50th annivesary of Flora's death is also called 'Flora's Peverel'. It offers a glimpse of Flora's life through her own eyes and has a fascination in much the same way as her written works. Through its episodic structure, Jo Smith builds a picture of a woman torn between living within the constraints imposed by her husband and family and her wish to spend time experiencing and recording the life she sees around her. The first act is set in the period 1916 to 1918 and Flora's struggle takes place against the greater battle of the First World War. Jo Smith peoples the stage with snapshots of characters from Flora's writings interlaced with memories of the Canadian troops who were stationed in the area. They form a counter-point to the life of the post office bounded by rules and run by the clock. Postmaster, John Thompson, Flora's husband, is seen as a fair but essentially unimaginative man. Flora has to school herself to accept his outlook. She has much more in common with Dr Macfie who writes poetry - but his visits are not welcomed by John Thompson. Flora is keen to learn from anyone including the tinkers Bill Tidy and his wife Maggie, for Bill's knowledge of plants is enormous. But tinkers are not the sort of people John Thompson, or Liphook society in general, find acceptable. The Tidys' lives are in every way totally irregular. The second act covers the years 1926 to 1928 when life is easier for the Thompsons and at last they move into a house of their own, Woolmer Gate at Griggs Green. In the intervening years Flora has taken a writing course, published a book of poems and short stories and written regular nature notes. Jo Smith shows her as at her happiest. She is living in her beloved countryside and she is writing with a postal writers group called 'The Peverel Society'. But life is changing - mains water and electricity make their presence felt. The telephone has made an impact too and there is an exchange at the post office. Girls, it seems, prefer to work as telephonists rather than milkmaids. In fact, work of any kind is hard to come by. 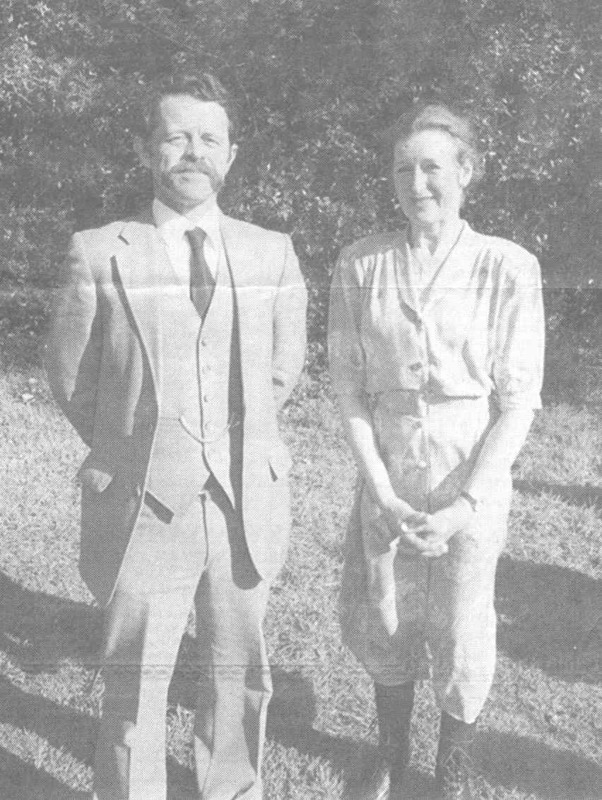 Flora's son and her daughter's fiancé go to Australia. Then Flora's world collapses. John was born on the Isle of Wight. He wants to return to live by the sea so he applies and gets a job as postmaster in Dartmouth. Flora, now 52, must follow. She leaves her beloved 'Peverel' never to return. Artistic director Derek Watts has chosen to date the episodic structure of the play by back projection and sound montage. Sometimes this worked well but at other times it seemed intrusive. The Bedales Olivier Theatre offered different stage levels for indoors and outdoors and characters made the most of these and the many entrances to give a sense of the open air. The setting, costumes and lighting were simple but effective. However, it might have been easier to maintain the momentum between episodes if some of the furniture could have remained on stage. The style of production relied heavily on the expertise of the actors and in spite of the fragmentary nature of the play they created several very atmospheric moments. Barbara Netherwood managed to combine both the ordinary and extraordinary sides of Flora Thompson into a believable and vulnerable woman. She was well supported by Rod Sharp as John Thompson. His inflexibility was understated but all-pervasive. His touching soliloquy at the end showed a man still puzzled by his continuing inability to ever see anything more than the facts. The tinkers, Bill and Maggie, played by Tony Grant and Dawn Wolverson, provided a thread of comedy. They kept up a good natured bickering in well sustained accents. Their disagreement after the camp burns down was particularly enjoyable. The whole cast, whose ages ranged from teens to past retirement, worked hard to sustain their characters and blend them into the structure. This is an interesting play, imaginatively staged and well worth seeing for the light it sheds on Flora Thompson's background.